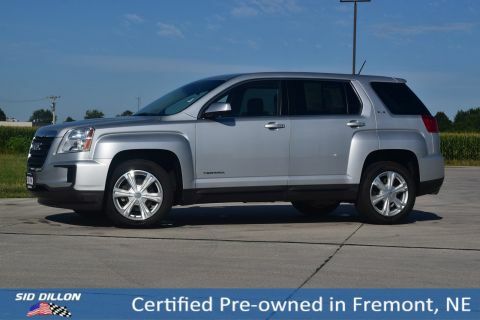 Safe and reliable, this 2014 GMC Acadia SLT comfortably packs in your passengers and their bags with room to spare. Tire Pressure Monitoring System (Does not monitor spare. ), StabiliTrak, stability control system with traction control, OnStar, 6 months of Directions and Connections plan includes Automatic Crash Response, Stolen Vehicle Assistance, Roadside Assistance and Turn-by-Turn Navigation (Visit onstar.com for coverage map, details and system limitations. Services vary by model and conditions. 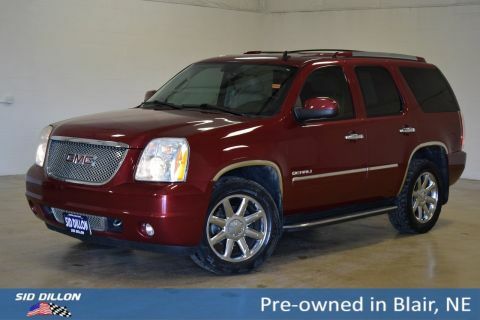 ), Horn, dual-note, Door locks, rear child security. 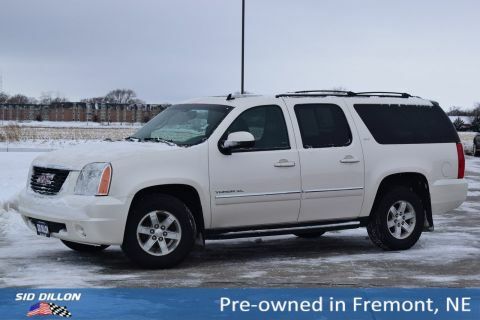 Daytime Running Lamps, Air bags, frontal and side-impact for driver and front passenger, driver inboard seat-mounted side-impact and head curtain side-impact for all rows in outboard seating positions (Always use safety belts and the correct child restraints. Children are safer when properly secured in a rear seat in the appropriate child restraint. See the Owner's Manual for more information. ), Air bags, front passenger air bag suppression (Always use safety belts and the correct child restraints. Children are safer when properly secured in a rear seat in the appropriate child restraint. See the Owner's Manual for more information.). 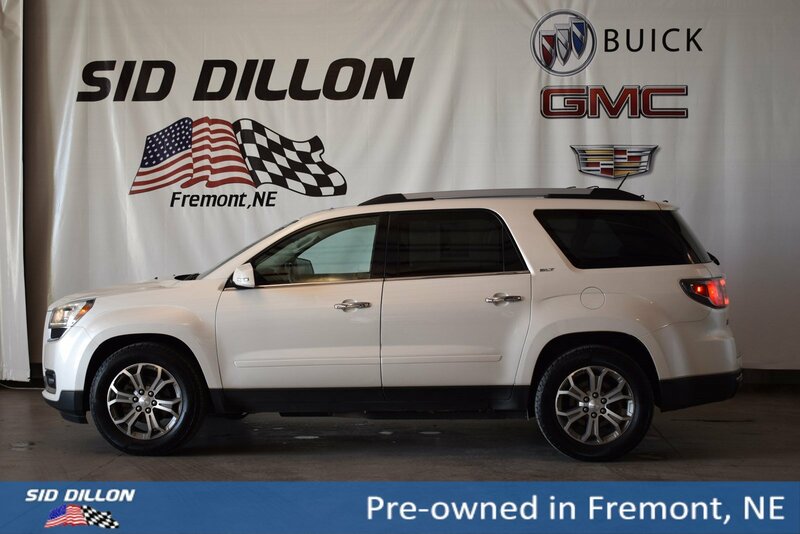 This GMC Acadia is a Safety Superstar! WHITE DIAMOND TRICOAT, TRANSMISSION, 6-SPEED AUTOMATIC (STD), SUNROOF, DUAL SKYSCAPE 2-PANEL POWER WITH TILT-SLIDING FRONT AND FIXED REAR with sunscreen, SLT-1 PREFERRED EQUIPMENT GROUP Includes Standard Equipment, SEATING, 7-PASSENGER (2-2-3 SEATING CONFIGURATION) (STD) (Includes 2nd row flat-folding Captains Chair. May be substituted with (ABC) 8-passenger (2-3-3 seating configuration). ), RECLINING FRONT BUCKETS (STD), LICENSE PLATE BRACKET, FRONT.